While we were still in Suttons Bay in the Leelanau Peninsula of Michigan we stopped at another winery on our mad dash through the area. We made a stop at Willow Vineyard and Winery. This winery was established in 1992 by John and Jo Crampton and it is a hilly area with an awesome view. The wine maker is Chris Guest who has over thirty years experience and was the founder of another winery Seven Lakes Vineyard in Fenton, Michigan, which I have to admit, I was not aware of, and rather close to where I live. The winery tasting room and guest facilities are very quaint and blend into the beauty of the area. The view of the west side of Traverse Bay is lovely on the grounds and it is easy to understand why this winery gets so many visitors. Also because of the vista, Willow Vineyard has become an ideal location for local and destination weddings on the grounds. This has become a popular side business for several of the wineries in this part of Michigan. I can see how a Bride could fall in love with the setting. The wine tasting was short and sweet, as they have only four different grape varietals and offer two different wine flights. The first wine flight was of sweeter wines. The Pinot Gris 2013 was a bit different from what I usually expect from this grape, but it was agreeable. The Roadtrip Riesling 2014 which is an apt name, considering the drive from the Detroit area to get there and it was a good Michigan Riesling wine. The last of the sweet wines was Sweet Rain 2013, which was a Chardonnay, and this wine was also offered in splits. The three dry wines in a different flight were more of what we look for in a wine, since we are not overly fond of sweeter wines. The Chardonnay 2013 showed that it had been aged in French Oak, but still crisp, instead of real buttery or oakey. 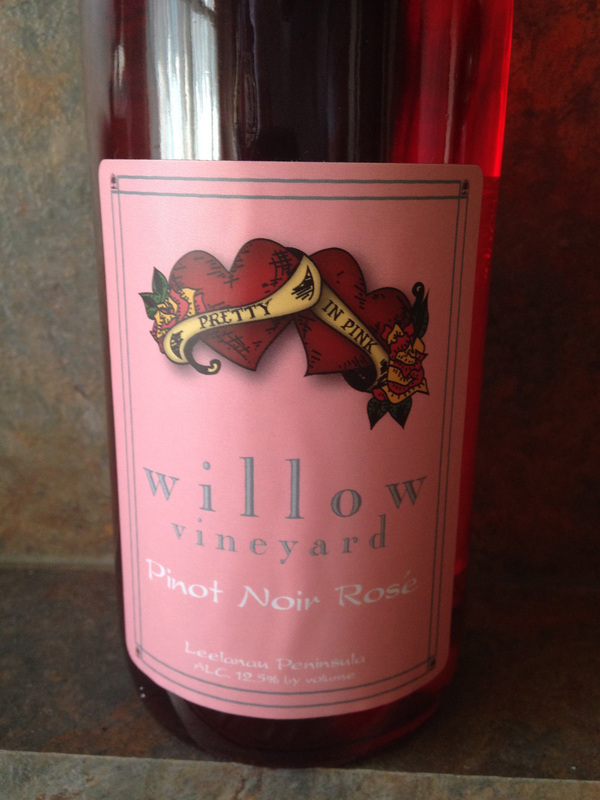 Pretty in Pink 2013 is a Pinot Noir Rosé with nice color and a bit of pepper and spice and was a nice wine for the summer day that we were there. The last wine that we had there was the Pinot Noir 2013 and to be truthful, maybe it was the day, but I preferred the Pinot Noir Rosé to the more classic interpretation of the Pinot Noir, which can be a finicky grape. With six wines being offered, it was a short, but fun tasting. 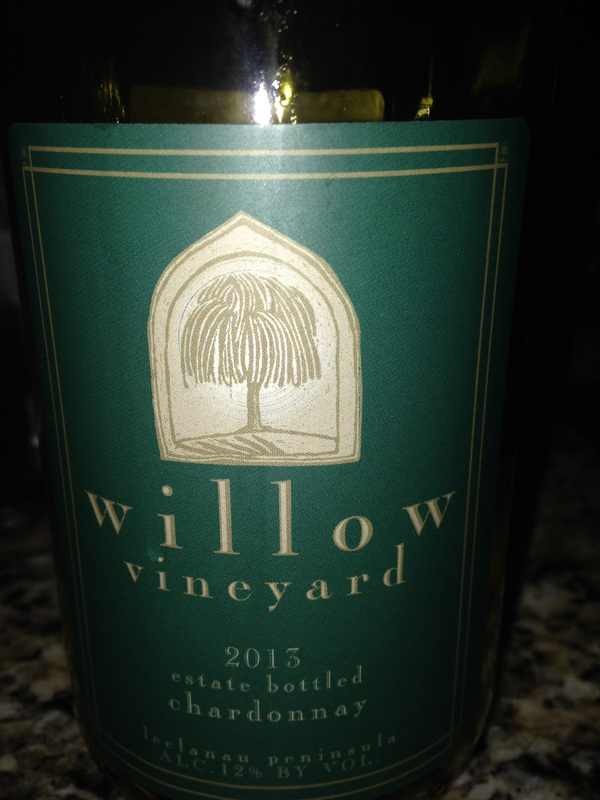 This entry was posted in Wine and tagged Chardonnay, Michigan, Pinot Gris, Pinot Noir, Pretty in Pink, Riesling, Roadtrip, Sweet Rain, Willow Vineyard and Winery. Bookmark the permalink.